This is the motto in Austria. 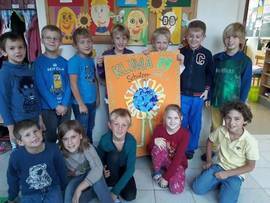 In September there was once again nominating their "Summer Winner", a school from Upper Austria. Further infomation see below. Over 19,000 children in around 200 schools from all over the country were involved in 2017. 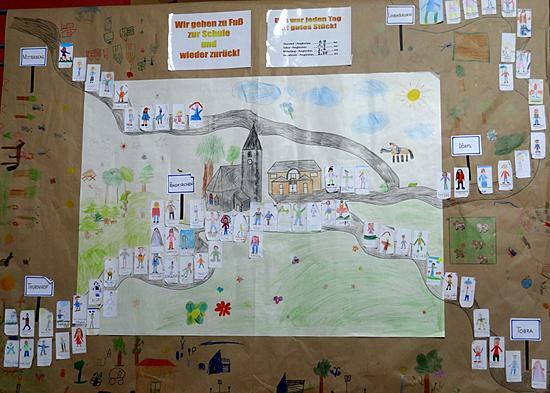 Together they collected 396,619 Klimameilen or Green Footprints! 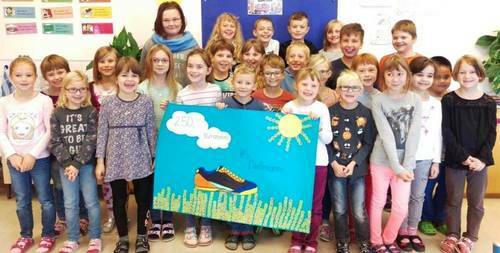 In 2017 the summer winner of the Austrian Green Footprint Action was the school VS Pergkirchen in Upper Austria. 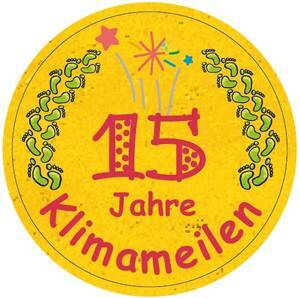 81 students in five classes collected a total of 1,490 Klimameilen within one week. 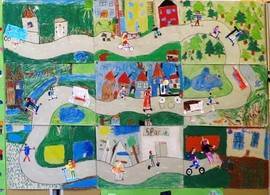 With this impressive car-free result the VS Pergkirchen in Upper Austria won the summer victory in the Austrian edition of the ZOOM Campaign. "We will only be able to manage a mobility turnaround if we as role models of the little ones enjoy the car-free school trips just as they do. 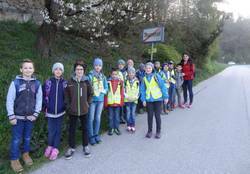 Pergkirchen is the best example for this: Here the campaign was a real joint action – not only the children but all teachers and many parents walked to school every day ", congratulated Norbert Rainer, the regional office manager of Klimabündnis Oberösterreich. 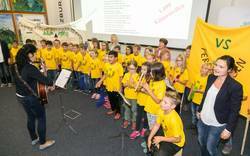 At the awarding event in the Salzburg AG, the children caused a little sensation: They performed a poem especially created for the ZOOM Campaign and sung the schoolway rap "on foot, on foot, that is the hit". The price for the summer winners was a visit at the house of nature, were they were climate-friendly traveling to and from as kindly supported by the ÖBB Postbus Company.